Carol Jean Fleming Stops, age 63, passed away suddenly on October 7, 2018 at the family home in Colstrip, Montana. Carol was born on February 18, 1955, in Hardin, Montana. She was the third daughter and fourth child of Leslie Cline Fleming and Clarice Williams Fleming, both of whom preceded her in death. Carol was a proud member of the Kickapoo Tribe in Kansas where she was known by her Kiikaapoa name, “Kee-wad No qua,” which means Changing Winds to the North. She was a member of the Thunder Clan. Carol Doll-Doll was a life-long resident of both Lame Deer, Montana and Colstrip, Montana. She graduated from Lame Deer Elementary and was a member of the Colstrip class of 1973. Carol graduated from Montana State University with a BS degree in Recreational Area Management. She was married to William Stops but later divorced. From this union was born her only child, Brianna. 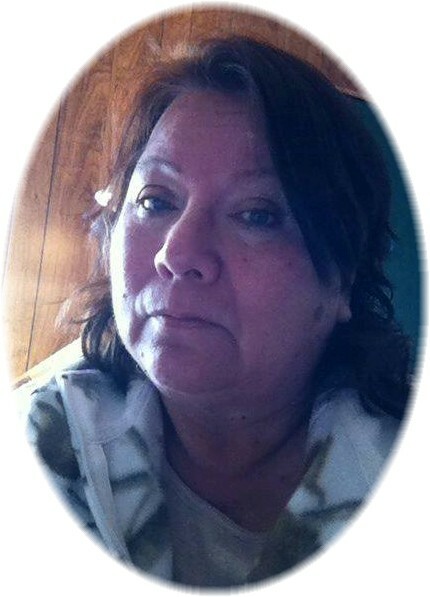 Carol lived and worked her entire life in the Lame Deer/Colstrip area, serving as a dispatcher for the Northern Cheyenne Tribe, head of security for the Colstrip Power Plant, and, most recently, the Family Services Assistant at Youth Dynamics of Montana. Carol is survived by her daughter, Brianna Collette Stops, Colstrip and her brothers and sisters; Janice Rivers (Glenwood) of Van Horn, Texas, Bill Fleming of Billings, Candace Fleming of Denver, Colorado, Walter Fleming (Shelley) of Bozeman, and Stanley Fleming (Dallas) of Ronan. She is survived, also, by her Cheyenne relatives, the Black Wolf and Ant families. She leaves also numerous adorning nephews and nieces. She is preceded in death by her parents, Cline and Clarice Fleming, and her grandbaby, Kimora Mesa Cain. Carol enjoyed pow wows and rodeos, especially bull riding (or bull riders?). She loved attending Country and Western concerts, but most of all, being with her daughter, Brianna, Carol’s best friend, house-mate, and co-conspirator. Carol inherited her mother’s wicked sense of humor and quiet demeanor. Carol used Facebook for what it was intended; to spread positive messages and good jokes. She was a proud cancer survivor who supported those who were battling the same disease. Words that people have used to describe Carol include courageous, beautiful, strong, crazy, gentle, witty, and wonderful. We know that she is in the Other Side Camp, snuggling with baby Kimora and gossiping with Mom and Dad! Services will be held at Life’s Journey Christian Fellowship in Colstrip on Thursday, October 11, 2018 at 11 am. Interment to follow at St. Ignatius at a later date. Stevenson & Sons Funeral Home in Forsyth, has been entrusted with our mom and sister. To leave condolences for the family, please visit our website at www.stevensonadnsons.com. so sorry for your loss. thinking of you at this very, very hard time. your mom was a great lady. We went to High School with Carol in Colstrip. I have known her since 1966 in Lame Deer. She was the first person I met when I moved there. We became instant friends and spent all our free time together. Rand and I will miss you Carol. RIP our friend. You were a great friend and an awesome lady. Wish I had the right words. You are in my prayers and thoughts. It is never easy to lose a loved one, just remember the good she has done and all the lives she has touched. We are so sorry for your loss. Your mom was so wonderful and will be missed greatly. She loved you so much. You were her world. Life will be sadder with her missing. God Bless you and we are praying for you. My heart and prayers go out to all of Carol’s family. I am so sorry to hear of her passing. Carol was a very kind and gentle woman. She had a wonderful sense of humor, an infectious laugh, and a beautiful smile. She was a quiet and unassuming woman with a big and generous heart. She will be greatly missed! Brianne I’m so very sorry to hear this news. Your Mom was a very wonderful, caring person. You were the light of her life, she was so proud of you. Wrapping you in prayers this day! Brianne, I am so sorry for the loss of your mom. She was a great lady and will be truly missed. Carol was a good friend from Lame Deer elementary thru Colstrip high school. We especially had a lot of fun during track events at Colstrip, and other sports and music events. We’d see each other occasionally over the years at Colstrip or Lame Deer and pick right back up. Many good memories. Our love and prayers to all of Carol’s family. Brianna, We are so very sorry for your loss. Life will never be the same, but she will be with you in spirit and you will forever hear her voice. God Bless. Carol was a year behind me in high school. Our paths crossed a few times over the years. After high school I saw her on campus at MSU occasionally. Then when I returned from the south, there she was at MPC. More recently I have enjoyed her comments and posts on Facebook – mostly about pets, a love for which we both shared. I have always thought a lot of Carol. She was a good person. She will be missed by many. Sending my sincere condolences. Brianna, we are so sorry for your loss. Your mom was a wonderful lady…always a smile, even when she was undergoing treatments. I always enjoyed visiting with her. She will be with you forever in your memories. I know it’s not the same but they will comfort you. May you be blessed with the love and support of your family and friends and faith. Sorry for your loss. She was a wonderful lady. My prayers are with each and everyone . May the good Lord help you through this difficult time. I Love You Carol Jean Beanie. I will never forget the times we went parking behind the Chicken Coop with Joe Fire Crow, Jr and the times We would crawl through the field between Nan’s house and Marilyn Butts House. The grass was high and Mrs. Butts always found us in their little camper trailer. I’m so sorry I cannot be there for Niece Brianna Our Little jumping bean. Rest Well and relax with Your Parents and Granddaughter. Brianna has a lot of support. Vangie Ant from the Ant Hill above the Lame Deer Hill. Until We meet again in the Other Camp. Brianna so sorry for your loss. Always enjoyed working with your Mom. Always as smile and pleasant greeting our prayers for you and family. Brianna, I am so sorry to hear of your loss. We will keep you in our prayers as you go through the days and weeks ahead. So very sorry to hear of Carol’s passing. We went to high school with her in Colstrip and later worked with her at MPC. I remember Carol always having a great smile and a wonderful sense of humor, even when she was battling cancer you could count on her smile. She will be greatly missed in our community. Special prayers of comfort for your Brianna. Brianna, so sorry to hear of your loss. Praying for you and your family. Blessings to you. Carol and I were good friends during college and managed to stay in touch over the years thanks to Facebook. She was incredibly funny and sweet and had the most amazing and engaging personality. We tried a number of times to see each other over the years but it never quite worked out, but you could see her great sense of humor in her facebook posts. I am so sorry for your loss, Brianna but know that your mother touched so many lives in strong and important ways. Condolences and prayers to Carol’s family. I am so sorry for your loss. I am so sorry for the loss of your mother. I know you two were a very close family. I too went to school with your mother graduating from Colstrip in 1973. We were both February babies born just 6 days apart. Acts 24:15 says “And I have hope toward God, which hope these men also look forward to, that there is going to be a resurrection of both the righteous and the unrighteous.” I hope this bible verse gives you comfort that you can see your mother again. My prayers and condolences to the family. I was a classmate with her brother, Stanley in Lame Deer, he was sure a brain. I will remember Carol as a beautiful and quiet lady and will be missed. This is a late but my family at this time were going thru a rough time with my grandkids’ mother who was in the hospital. I wish I had been at the funeral. My mother isn’t doing well, Martha Ant LaRance, but she had prayers for Carol. Bless you all. We were so sorry to hear of your loss. Les and I ran into Carol during a brief return to Colstrip last fall and we enjoyed a lovely, long visit in the library. We worked with her at the power plant and would see her often in the library with Brianna at her side. She was such a strong and gentle soul with a quiet, witty sense of humor. We hope your faith guides you in the weeks and months ahead.